Home / collections / inspiration / need to opt images still / 24 Painted Rocks that Look Good Enough to Eat! 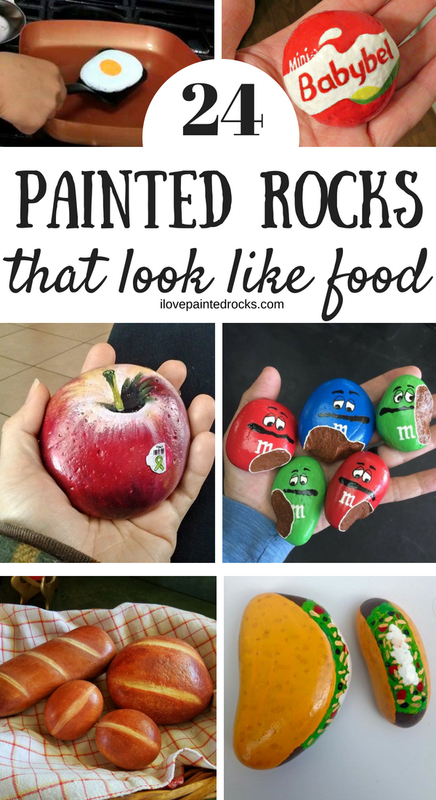 It's the next thing in the painted rock craze: painted rocks that look like food! 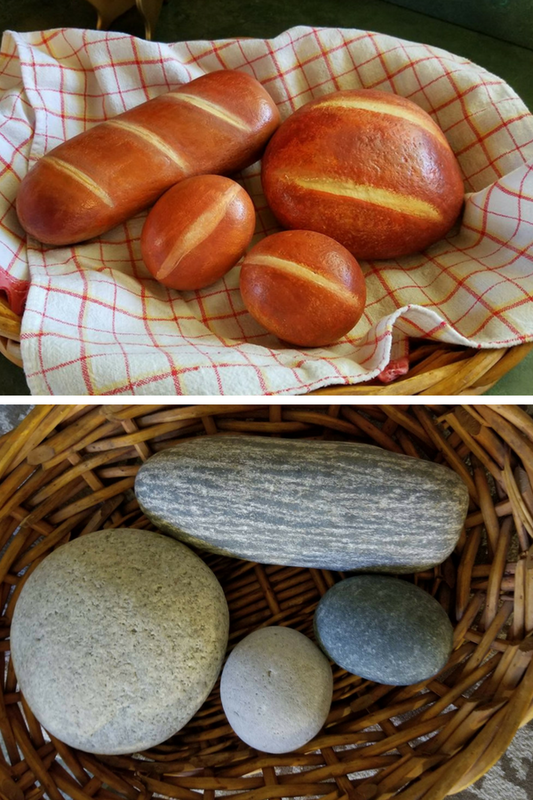 These clever artists took rocks that were shaped just right and transformed them into impressive food lookalikes. From apples, to giant candy, bread and more, check out these inspirational (but not actually edible) rock painting ideas! 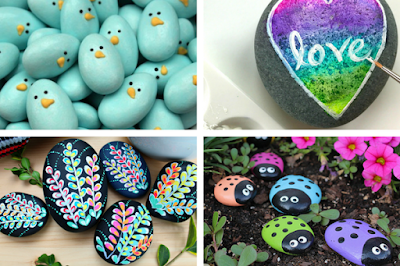 Check out 20 easy rock painting ideas for beginners! Don't forget to pin this post to use later as well! 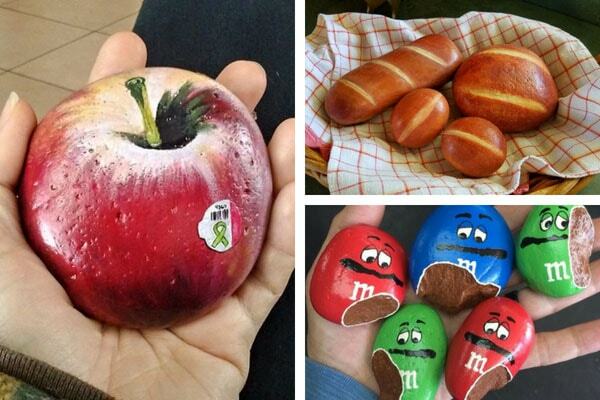 24 Impressive Painted Rocks that Look Like Food! 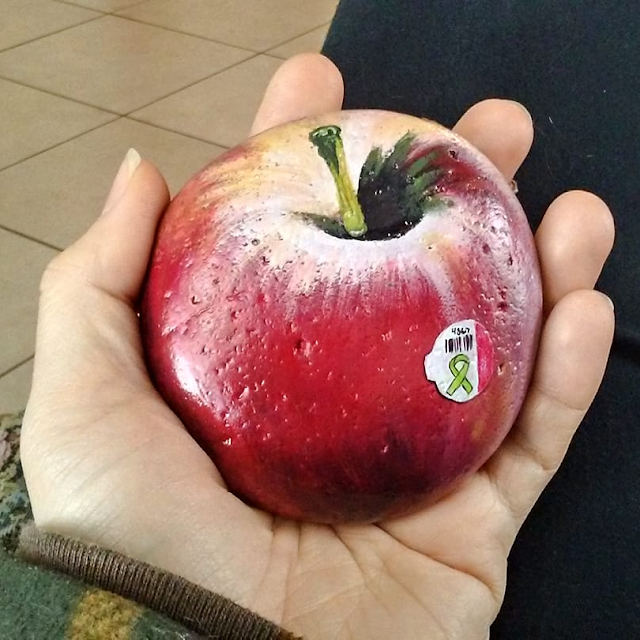 Even though this apple looks good enough to eat, in reality it's a painted rock! This impressive paint job was done by Cheli Teichman from the NW Rocks group during one of their monthly rock painting challenges. See the photo on Facebook here. Let's taco bout this rock! 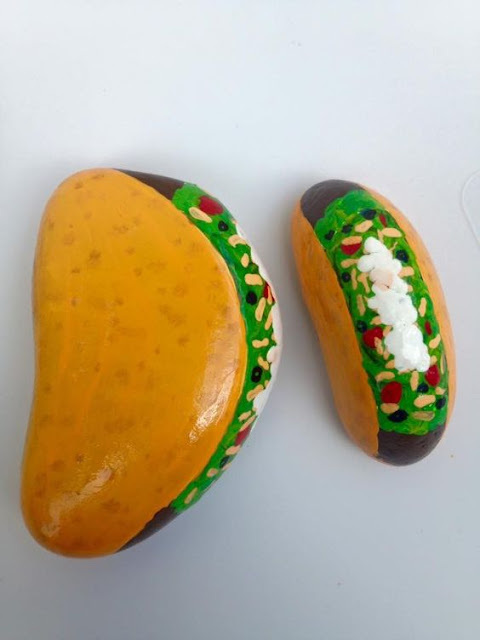 These clever taco rocks were painted by Holly Ninneman (photo uploaded to Pinterest here). I love this rock painting idea for all sizes of rocks with a half-round shape. 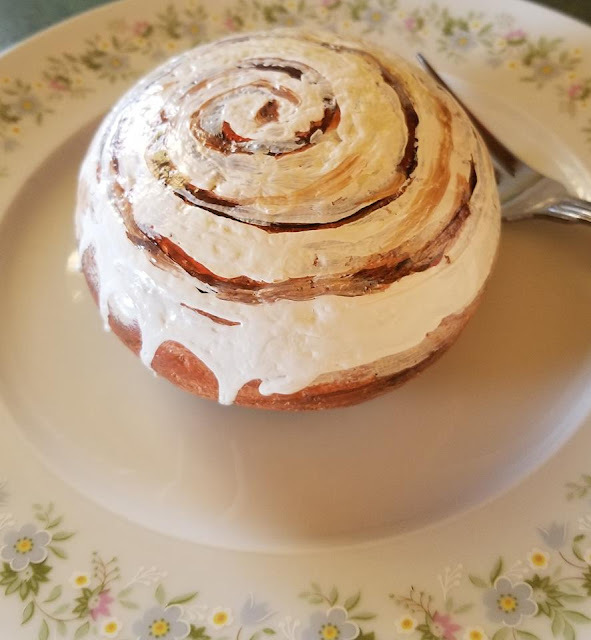 This rock painted to look like a cinnamon roll looks good enough to eat! This tasty morsel was painted by Laura Owen of the Tex New Mex rocks group. 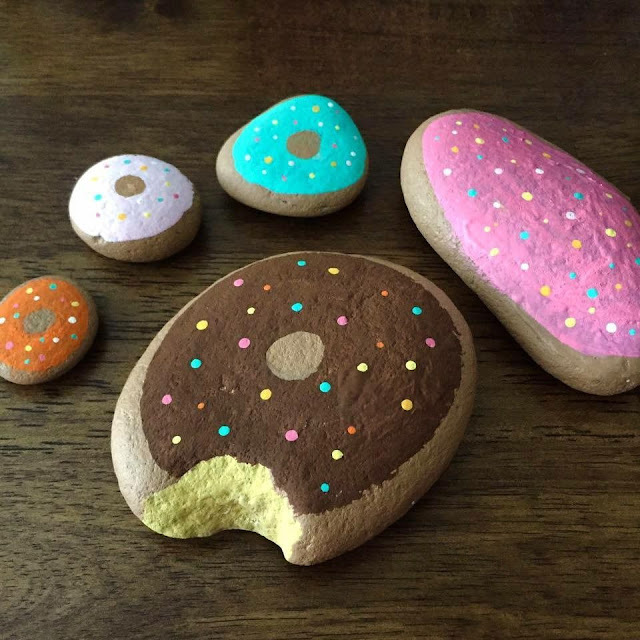 If donuts are your obsession, you will love these sweet rock painting ideas that resemble an assortment of tasty desserts. Uploaded to Pinterest by Ana Vega. 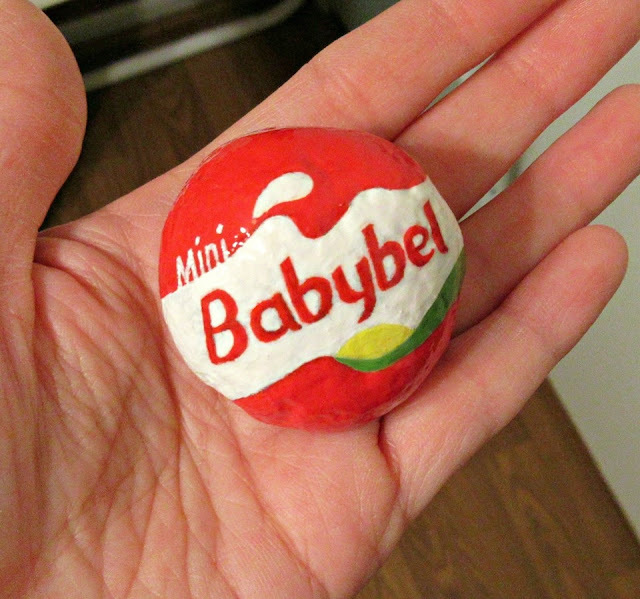 This Babybel cheese replica was painted by Ana Garcia. She really did an impeccable job with this perfectly shaped rock. 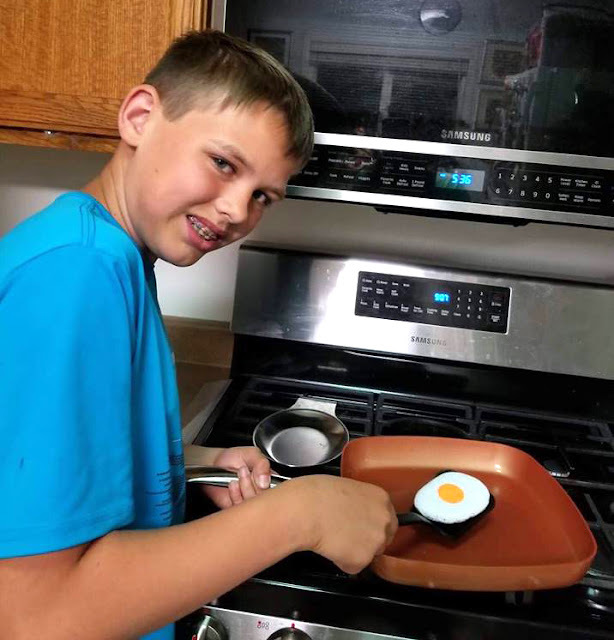 Nolan, a 13 year old rock artist from Oregon painted this egg rock that looks quite tasty! See the original post in his local rock painting group, West Coast Painted Rocks, where we spotted it. Laura Owen of the Tex New Mex rocks group knows how to rock -- and roll! Or just turn rocks into rolls. Her detailed attention to color and texture leaves these painted stones looking good enough to eat! This collection of summer fruits and veggies in a basket is perfection! 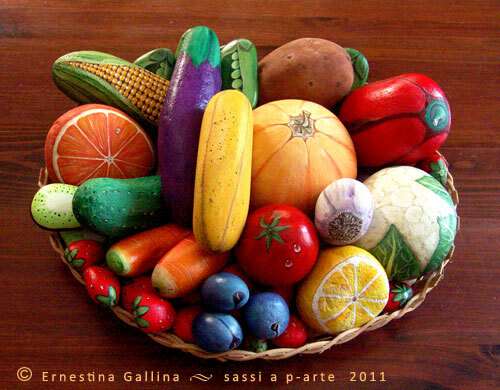 I love how artist Ernestina Gallina stretched herself to paint 17 different but realistic fruits and veggies. 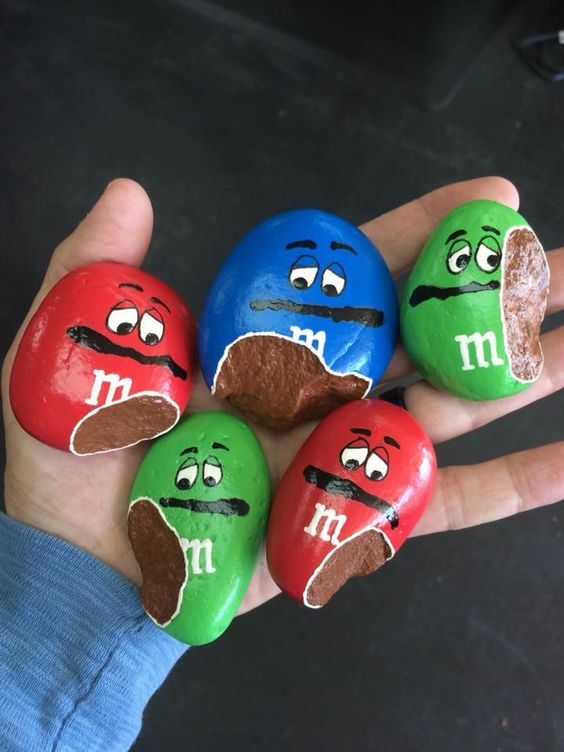 Giant m&ms with bites taken out of them is the perfect way to work with the natural shape of chipped stones. Check out this picture of painted m&m rocks uploaded to Pinterest by Shelade. If you love rock painting projects be sure to follow me on Pinterest!